While I think the study is needed, I’m wondering why Augustana (a private university) had to get reimbursed for a ‘research’ project? I guess Augie has trouble scrounging together $27K. Well that’s what you get when you have a Democrat running the joint, poor fundraising skills . . . ouch. What is also ironic, the local government entity that serves the most homeless, poor and underpriviledged in our community didn’t contribute a penny to the study (SF School District). I guess they have already identified their homeless issues. No regular meetings this next week, but some interesting tidbits. This one is at the County Commission Chambers in the Administration Building. Another study by Augustana on Homeless peeps. Why do homeless studies cost so much? What? No qualified volunteers? In one of the longest meetings of the year, the MCC discusses rural ambulance services and paving a popular county road. 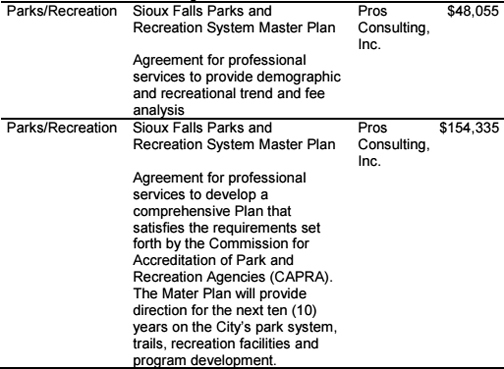 Had to chuckle watching the city employees (mostly) and the city council approving the wedding barn. 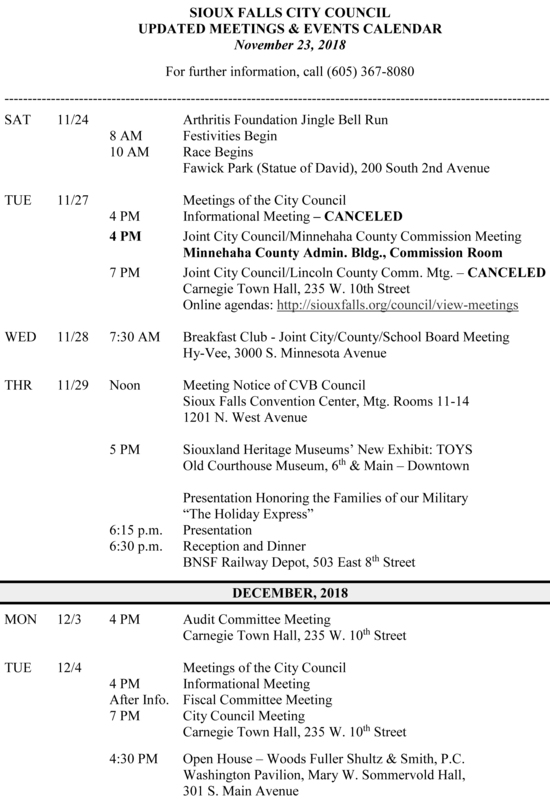 We all know they were scared the Minnehaha County Commission was prepared to pull the joint jurisdiction ‘polite’ agreement, so they chose to pull out on the game of ‘chicken’. Neitzert’s ‘NO’ vote was ‘taking one for the team.’ They know they have no power in rural districts to predict future growth. But they ‘Think’ they do. LOL. 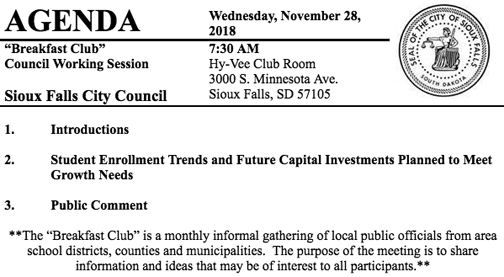 I guess they are going to start the meeting off with a shotgun and go into executive session right away, than onto more planned city initiated annexations (they just won’t give up). So I’ve seen some weird things in small town SD government, but this takes the cake. In one short meeting in August in the little town of Baltic, Mayor Weldland calls the meeting to order, resigns, swears in a new mayor than takes a PAID position of city administrator for $65K a year. THE BALTIC CITY COUNCIL MET IN REGULAR SESSION ON AUGUST 14, 2018. Mayor Wendland called the meeting to order at 7:00 PM. g. Mayor Wendland presented his letter of resignation as Mayor effective immediately. Grunewaldt made a motion to accept his resignation and thanked him for his service. Second by Drayer. All Ayes. h. Jenks made a motion to appoint Scott Grunewaldt as Mayor to serve a term of 10 months until the next regular election. Second by Hotzler. All Ayes. Hoefert gave Grunewaldt the Oath of Office. i. Grunewaldt nominated Tracy Petersen of Baltic for appointment as Alderman Ward 2. Drayer made a motion to appoint Tracy Petersen as Alderman Ward 2 for a term of 10 months until the next general election. Second by Hotzler. All Ayes. Hoefert administered the Oath of Office. j. Personnel – deferred until after Executive Session. Personnel – Jenks made a motion to appoint Mike Wendland as City Administrator/Economic Development Coordinator at an annual salary of $65,000 with a start date of September 4, 2018. Second by Hotzler. All Ayes. Oh, and the rumors get even better. Mr. Wendland is said to be the preferred candidate to be appointed to the Minnehaha County Commission if one of the elected Republican incumbents chooses to resign shortly after being re-elected. 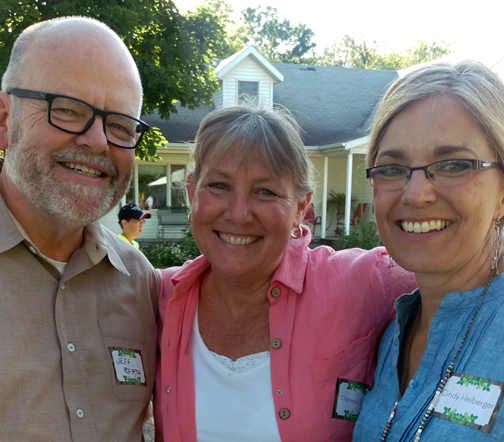 Is a Minnehaha County Commissioner Candidate Incumbent planning to resign after being elected? 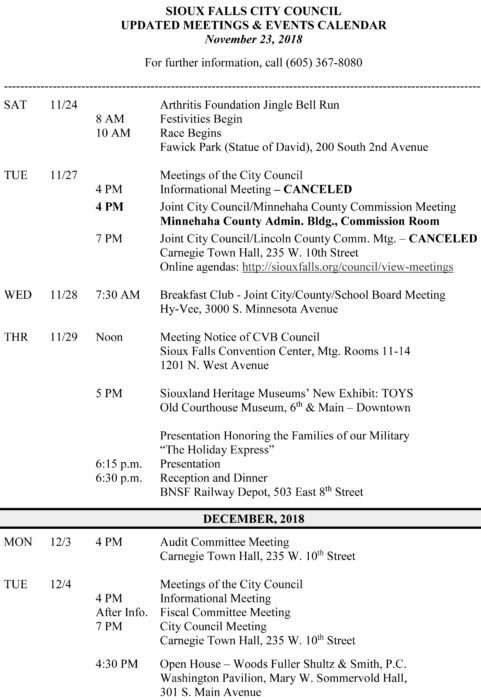 There is a rumor going around that one of the Republican incumbent Minnehaha County commissioners plans to resign if/after they are re-elected. 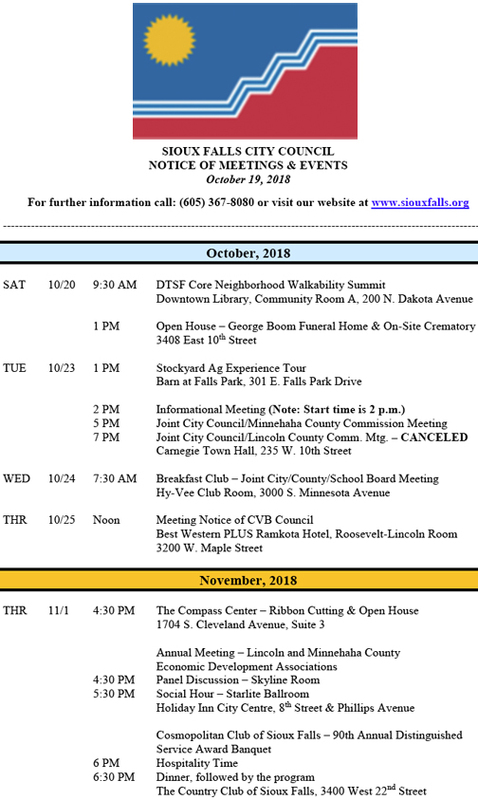 While I have a pretty good guess who that may be, I have NO idea if they plan to resign soon after the election (so someone can be appointed) or wait two years (when the next election is held for the county commission). If this is true, my guess is they will put in a couple of months and resign after January so they can appoint another Republican and create a FAKE incumbent like they did with Jean Bender. It’s a little trick the Republican’s pull all the time in the legislature and now it seems they are getting used to the practice on the County Commission. Like I said, at this point it is a rumor, but had a pretty reliable source tell me about it.